French law provides for a well constructed and well tested legal framework to restructure distressed companies, with various pre-insolvency and insolvency proceedings intended to address a wide range of situations. The major reform that took place in 2005 with the introduction of a Chapter 11-type debtor-in-possession procedure known as ‘safeguard’ and subsequent adjustments significantly improved French insolvency law, which is now considered one of the most effective in Europe. A French company is considered to be insolvent (in ‘cessation of payments’) when due and payable debts exceed available assets. It must file for insolvency within 45 days of the occurrence of such situation. Fraudulent conveyance rules apply to transactions entered into by the debtor between the date of the debtor’s cessation of payments (which the court can determine occurred up to 18 months before the insolvency filing) and the commencement of the insolvency proceedings. They provide that certain transactions or payments2 entered into during that period are void, and that any other transaction or payment entered into during that period is voidable if the counterpart was aware of the debtor’s cessation of payments. Traditionally, French insolvency law favours the continuation of business and the preservation of employment over the interests of the creditors. However, several adjustments improving the situation of the creditors were recently made in the law, in particular to facilitate pre-packaged sale plans, allow creditors to propose alternate reorganisation plans and facilitate debt-to-equity swaps when existing shareholders refuse to vote in favour of such measure. Pre-insolvency proceedings include mandat ad hoc and conciliation. Both essentially consist of a mediation conducted under the authority of a mediator appointed by the court upon request of the company, in order to help it reach an agreement with its creditors, in particular by reducing or rescheduling its indebtedness. The debtor can determine, at its discretion, which creditors will be involved in the process. Agreements reached through such proceedings are non-binding on third parties, and the court-appointed mediator has no authority to force the parties to accept an agreement. These proceedings are confidential, subject to one exception: if the conciliation culminates in an agreement that is approved (homologué) by the court upon request of the debtor company, then such approval becomes public. In addition, if such an approval is granted, creditors that provided new money during the conciliation proceedings or as part of the conciliation agreement will enjoy a priority of payment over all pre-petition and post-petition claims in the event of subsequent insolvency proceedings. Mandat ad hoc has no maximum duration, but typically lasts between a few months and a year. Conciliation cannot exceed five months. Insolvency proceedings include safeguard proceedings (sauvegarde) – with two variations: accelerated safeguard (sauvegarde accélérée) and financial accelerated safeguard (sauvegarde financière accélérée), judicial reorganisation proceedings (redressement judiciaire) and judicial liquidation proceedings (liquidation judiciaire). 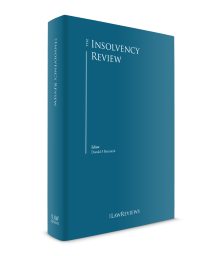 These insolvency proceedings are similar to proceedings existing in other jurisdictions. They are not confidential and must involve all of the creditors. They result in a stay on creditors’ enforcement actions for pre-petition claims. Safeguard and judicial reorganisation proceedings are intended to reorganise the debtor through the implementation of a reorganisation plan that may provide for debt write-offs, debt rescheduling, debt-to-equity swaps, modification of interests rates, amendments of financial covenants or cash contributions to the debtor, by existing stakeholders or newcomers, by way of debt or equity. Plans also frequently contain downsizing commitments by the debtor, such as commitments to dispose of part of the business, or to downsize the workforce and to change all or part of the management team. In the case of large companies (companies with more than 150 employees or annual sales of more than €20 million), the reorganisation plan must be approved by two committees comprised of the financial creditors and the main trade creditors. In each committee, the majority required for approval is a two-thirds majority of the creditors expressing a vote, based on value. In addition, if the debtor has issued bonds, bondholders must also approve the plan based on the same two-thirds majority. All bondholders vote as a single group, even if there are several bond issues, series or tranches. In the absence of creditors’ committees, or if the committees or bondholders did not vote in favour of the proposed reorganisation plan, creditors are consulted individually on the debt write-offs and debts rescheduling proposed by the debtor. The maximum duration of the safeguard or reorganisation proceedings is 18 months. 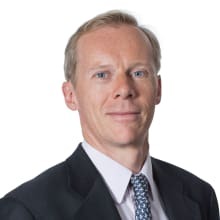 Accelerated safeguard and accelerated financial safeguard are significantly shorter, as there are pre-packaged proceedings intended to adopt a reorganisation plan negotiated during conciliation proceedings that is supported by at least two-thirds of the members of each creditors’ committee and of the company’s bondholders. The duration of the accelerated safeguard cannot exceed three months. Accelerated financial safeguard, which applies only to financial creditors and bondholders, has a maximum duration of two months. Judicial liquidation proceedings are intended to liquidate the assets of the debtor and settle its liabilities when there is no prospect of recovery. This process has no maximum duration, and generally lasts several years. In judicial reorganisation proceedings (if it appears that a reorganisation plan will not permit the recovery of the debtor) as well as in judicial liquidation proceedings, all or part of the debtor’s business can also be sold to a third party under a sale plan. Where main insolvency proceedings are pending in another EU country (except Denmark) and the debtor has an establishment in France, EU Regulation 2015/848 on insolvency proceedings allows for the opening in France of secondary insolvency proceedings (safeguard, judicial reorganisation or judicial liquidation). The effects of such secondary insolvency proceedings are limited to the debtor’s assets located in France. Pre-insolvency proceedings (i.e., mandat ad hoc and conciliation) are available when the debtor anticipates legal, economic or financial difficulties and is not in cessation of payments (or has not been in cessation of payment for more than 45 days, in the case of the conciliation). They are commenced by order of the president of the court upon petition of the debtor. Safeguard proceedings are available when the debtor experiences difficulties that it is not able to overcome and is not in cessation of payments. They are commenced by judgment of the court upon petition of the debtor. Judicial reorganisation and judicial liquidation proceedings are available when the debtor is in cessation of payments and, with respect to liquidation proceedings, when the debtor’s recovery is manifestly impossible. They are commenced by judgment of the court upon insolvency filing by the debtor, or upon petition of an unpaid creditor or of the public prosecutor. Secondary insolvency proceedings may be commenced by judgment of the court upon petition of the insolvency practitioner in the main insolvency proceedings, of the debtor, of an unpaid creditor or the public prosecutor (in the latter two situations, only if the secondary proceedings are judicial reorganisation or judicial liquidation proceedings). Judgments commencing safeguard, judicial reorganisation or judicial liquidation proceedings or refusing to open such proceedings can be appealed by the debtor, by the creditor having requested the opening of the proceedings (if any), by the public prosecutor, and by interested third parties. The appeal of the judgment opening the proceedings does not stay such proceedings. It is not possible to obtain a stay of insolvency proceedings except for secondary proceedings, in which case the court that opened the proceedings must stay the process of realisation of assets if requested by the insolvency practitioner in the main insolvency proceedings. Insolvency proceedings are conducted under the supervision of the commercial court with jurisdiction over the debtor. When commencing safeguard or judicial reorganisation proceedings, the court usually appoints an administrator to supervise the debtor’s management and help in the preparation of a reorganisation plan and a representative of the creditors. In judicial liquidation proceedings, the court appoints a liquidator in charge of winding up the company. If a sale of the business is considered, the court will usually authorise a temporary continuation of the activity and appoint an administrator to manage the debtor during such continuation and organise the sale of the business. In addition, during insolvency proceedings, any disposal of assets made by the debtor outside the ordinary course of business, any mortgage, pledge, guarantee granted by the debtor, and any settlement entered into by the debtor must be authorised by the judge in charge of the insolvency proceedings. At the end of the insolvency proceedings, any reorganisation plan or plan for the sale of the business must be approved by the court. In safeguard and judicial reorganisation proceedings, before approving a reorganisation plan that has been voted by the requested majority of the creditors’ committees and bondholders, the court has to verify that the interests of all creditors are sufficiently protected. Once approved by the court, the reorganisation plan will be binding on all the members of the committees and all bondholders (including those who did not vote or voted against the adoption of the plan). If creditors were consulted individually (either because the creditors’ committees or the bondholders did not vote in favour of the plan, or because the company was too small to have creditors’ committees), the court that approves the plan can impose uniform debt-deferrals for a maximum period of 10 years on non-consenting creditors, but the court cannot impose debt write-offs or debt-to-equity swaps. The main duty of the directors in connection with insolvency proceedings is to file for insolvency within 45 days of the company’s cessation of payments. After the commencement of insolvency proceedings, there is no shift of fiduciary duties whereby duties formerly owed by directors of a French company to the company’s shareholders would, post-petition, be owed to the company’s creditors. Rather, the duty of the directors will remain, before and after the commencement of a pre-bankruptcy or bankruptcy process, to promote the corporate interest of the debtor, that is, to promote the course of action that, on the whole, will best preserve the interests of all stakeholders, including the debtor’s employees, shareholders, creditors and customers. The general insolvency regime provided by French law is applicable to all legal entities, but regulated entities such as credit institutions and insurance companies are subject to specific additional rules. With respect to credit institutions, French law was amended to implement Directive 2001/24/EC on the reorganisation and winding up of credit institutions. Insolvency proceedings may only be commenced with respect to a French credit institution after prior authorisation of the Autorité de contrôle prudentiel et de resolution (ACPR). A specific ranking applies to claims against credit institutions, and specific rules are intended to protect certain kinds of financial arrangements, such as netting and repurchase agreements. With respect to insurance companies, insolvency proceedings may only be commenced upon request of the ACPR, or upon request of the public prosecutor after prior authorisation of the ACPR. Credit institutions and insurance companies also have to finance insurance funds intended to indemnify the depositors or insured party up to a certain amount in case of default. There are no special insolvency rules relating to corporate groups under French law, except for the rules provided by the EU Regulation 2015/848 on insolvency proceedings in order to ensure the efficient administration of insolvency proceedings relating to companies of a corporate group located in different EU Member States. Those rules provide for cooperation and communication of information between insolvency practitioners, between courts, and between insolvency practitioners and courts, and allow an insolvency practitioner to request the opening of group coordination proceedings. Insolvency proceedings can be opened in France in respect of a foreign EU debtor in accordance with EU Regulation 2015/848 on insolvency proceedings, if the foreign debtor has the centre of its main interests in France. Any insolvency proceedings opened in France (excluding pre-insolvency proceedings) will be recognised throughout the EU. As far as non-EU debtors are concerned, while a French court may agree to commence insolvency proceedings if the debtor has a significant presence in France, this happens quite rarely in practice, and the effect of such proceedings overseas would be subject to significant uncertainties. e on the other hand, the external drivers of economic growth remain insufficient, such as the trade deficit which is stagnating at a high level, slowing down economic recovery, though less so than last year with an increase of 3.1 per cent in exports during the second quarter of 2017. Another sign of the improving economic climate can be found in the number of insolvency proceedings opened in France in 2016, which decreased by 8.3 per cent compared to 2015, dropping from 63,008 to 57,844. As for 2017, the second quarter of this year shows a decrease of 7.8 per cent in company failures compared to the previous year, confirming the trend. c the construction market, traditionally representing one quarter of all company failures, specifically benefited from this trend with a decrease in the opening of insolvency proceedings of 12.7 per cent compared to 2015. On the other hand, the number of insolvency proceedings in the agricultural sector is constantly increasing. Altis is a French company operating in the semiconductor industry. The company had been struggling with financial difficulties for a long time when the commercial court of Paris opened judicial reorganisation proceedings in August 2016. The company had been bought in 2010 from IBM and Infineon and was already in a poor financial state then. Between 2010 and 2013, it accumulated approximately €176 million in losses and only escaped judicial liquidation thanks to a deal concluded with the company’s creditors, shareholders and public institutions. The company’s distress is linked to its commercial dependence on its main client GlobalFoundries, whose orders continue to decrease, as well as its lack of diversification. Out-of-court negotiations took place before the cessation of payments with a potential buyer called X-FAB, a German group of semiconductor foundries, which eventually withdrew its offer owing to deteriorated relations with the seller. During the judicial reorganisation proceedings, three potential buyers submitted offers to the court to purchase the business. Two of them were Chinese, including SMIC, one of the industry leaders, and the last one was X-FAB. The court selected X-FAB’s offer for several reasons: first, the offer was valued at €18.5 million, including a transfer price of €9.2 million, making it the best offer in financial terms. X-FAB also committed to investing €100 million in the French business over 10 years, including €60 million in four years. X-FAB’s offer was also the best one in terms of employment, with a commitment to take over the 1,000 employees of the company and to maintain the employment level above 800 employees for five years, and it had the support of the employees. The offer was firm, whereas SMIC’s offer contained a condition precedent relating to the authorisation of its board of directors, which could not be obtained immediately. Finally, the offer included the transfer of new technologies, which could allow for a diversification in Altis’ clients base. Tati is a French clothing brand founded in 1948 that built its success on the sale of large volumes of low-priced clothes without intermediaries and regardless of the clothing season. The brand was a pioneer in this strategy in France but suffered a great deal from the arrival of other brands with the same strategy, such as H&M, that were more fashionable and offered new collections more regularly. Upon the death of the founder, his youngest son took over the business but failed in his attempt to diversify Tati’s offer, which contributed to blurring the brand’s image and position on the market. In 2003, the company went through judicial liquidation proceedings, and the business was bought in 2004 for €14.5 million by the hard-discount group Vetura, partly held by Eram. The Tati business was then totally bought by Eram, another clothing group specialising in the shoe market. The group invested a considerable amount of money in the business in an effort to improve its quality and brand image, but sales remained insufficient. Eram tried to sell the company in 2014, without success. In 2017, after Tati had lost approximately €50 million during the year 2016, Eram again initiated negotiations with potential buyers under conciliation proceedings commenced by decision of the president of the commercial court, with a view to selling the Tati business under a pre-packaged sale plan. Pre-packaged sale plans consist of confidential negotiations with potential buyers taking place in pre-insolvency proceedings (mandat ad hoc or conciliation) before the debtor files for insolvency, followed by accelerated insolvency proceedings. Their impact on the debtor’s business is therefore limited. They have been made possible by a recent change in French law allowing the mediator appointed in mandat ad hoc or conciliation proceedings to organise the sale of all or part of the business in subsequent insolvency proceedings. Seven offers were submitted during the conciliation proceedings, six of them involving the sale of assets, and thus the opening of subsequent insolvency proceedings, and only one involving the sale of the company owning the Tati brand. The company then filed for insolvency, and, as a result, the commercial court commenced judicial reorganisation proceedings on 4 May 2017. In the end, only two offers remained, one from Gifi, a retail group specialising in the low-cost decorating business, and the other from a consortium of five of the original potential buyers. Competition for the takeover of the Tati business resulted in the potential buyers improving their respective offers twice and lead to a favourable outcome for the employees, whereby 1428 out of 1750 jobs were able to be saved. The court eventually selected Gifi’s offer, which was more advantageous both in financial terms (Gifi committed to investing €80 million in the business) and in terms of employment. GM&S is an industrial company specialising in the supply of spare automobile parts and located in a French region suffering from deindustrialisation and unemployment. Owing to the progressive decrease in orders from its two main clients, French car manufacturers PSA and Renault, the company’s turnover fell from €40 million in 2010 to €20 million in 2016, and it was forced to file for insolvency. The commercial court of Poitiers opened judicial reorganisation proceedings in December 2016. These were the third reorganisation proceedings that the company had undergone in 15 years. In June 2017, the court converted the proceedings into judicial liquidation proceedings owing to the lack of any prospect of recovery. The court authorised the continuation of business for 30 days. This case has been widely covered by the French media, as GM&S is the second-largest private job provider of the region with 277 employees, and became very political, drawing the involvement of the French Ministry of Economy, which attempted to contact more than 50 potential buyers for the business. In the end, only GMD, a company specialising in metal processing, presented an offer, which provided for the takeover of 120 employees out of 277. This offer was made possible because the French state, PSA and Renault committed to investing €15 million in the business, and PSA and Renault committed to placing orders over five years for amounts of €12 million and €10 million, respectively. GMD’s offer was approved by the commercial court on 31 July 2017. Sequana is the holding company of a group specialising in the paper industry, with two main subsidiaries: Antalis, a European leader in the distribution of paper, packaging solutions and visual communication materials with 5,600 employees, and ArjoWiggins, a global leader in the production of technical and creative paper with 2,800 employees. The group is suffering from a decrease in paper production business owing to the overcapacity of the paper industry in Europe. Its turnover decreased by 7 per cent between 2015 and 2016, and its indebtedness stands at €315 million. In addition, in February 2017, a British court issued a judgment under which Sequana was ordered to pay €135 million to British American Tobacco (BAT) in relation to the payment of a dividend to Sequana by a subsidiary that was purchased from BAT in the 1990s. Sequana filed an appeal, which stayed the enforcement of the judgment, but for the payment of a €6.7 million advance on BAT’s legal costs. Sequana also chose to request the commencement of safeguard proceedings from the commercial court of Nanterre, with a view to implementing a reorganisation plan involving the sale of the security branch of ArjoWiggins and the initial public offering of Antalis, and a rescheduling of its indebtedness, including BAT’s potential claims. Safeguard proceedings were opened by the commercial court on 15 February 2017 with respect to Sequana. Its subsidiaries Antalis and ArjoWiggins were not included in the proceedings. BAT filed an appeal against that judgment, claiming that the safeguard proceedings were commenced in breach of its rights, because they were only intended to avoid the payment by Sequana of the €6.7 million advance on BAT’s legal costs. The commercial court dismissed BAT’s appeal. The safeguard plan providing for the initial public offering of Antalis, the sale of ArjoWiggins’ banknote paper production plant to Oberthur for a total amount of €30 million and a rescheduling of Sequana’s indebtedness over 10 years was approved by the court on 12 June 2017. Agripole was a French food-processing group owned and managed by Monique Piffaut with more than 3,000 employees and about 20 subsidiaries specialising in ham and sausage products and pre-cooked dishes. The indebtedness of the group stood at €332 million. In December 2016, following the death of Ms Piffaut, it was discovered that the accounts of the group had been manipulated on her initiative over a period of at least 10 years and included false invoices and fictitious advances on inventories for a total amount of approximately €250 million. At the request of the companies of the group, the president of the commercial court of Paris opened a mandat ad hoc, which was later converted into conciliation proceedings. A financial audit of the group revealed that it would face a significant cash shortage within six months. A conciliation agreement was entered into in February 2017, under which the bank creditors of the group agreed to grant new financing for a total amount of €63.25 million, benefitting from a priority of payment over all pre-petition and post-petition claims in case of subsequent insolvency proceedings, and the French state agreed to grant a €70 million loan. In addition, all creditors agreed to grant a moratorium on their claims and to waive any event of default during one year. The companies of the Agripole group committed to searching for a new shareholder or a buyer for the business, in order to ensure the reimbursement of the creditors under the best possible conditions. It quickly became clear that selling the group companies as is would not be possible owing to the amount of the indebtedness and the deterioration of the group’s financial situation after the discovery of the fraud. Therefore, negotiations were conducted with potential buyers within the framework of new conciliation proceedings, with a view to selling the ham and sausage products business and the pre-cooked dishes business separately under pre-packaged sale plans. The best proposal for the sale of the ham and sausage business was made by the cooperative group Cooperl, which committed to taking over all the employees of the branch and offered a price of €33 million for the purchase of the assets. Upon insolvency filing of the companies involved in that business, the commercial court of Paris commenced reorganisation proceedings on 2 May 2017, and approved the sale plan for Cooperl on 15 June 2017. The best proposal for the sale of the Agripole group’s pre-cooked dishes business was a joint offer made by two French groups, Cofigeo and Arterris, which committed to taking over all employees. Upon insolvency filing of the main company involved in that business, the commercial court of Paris commenced reorganisation proceedings on 12 June 2017. The court is expected to decide whether it will approve the sale plan for Cofigeo and Arteris in September 2017. It has authorised the debtor to lease its business to those potential buyers in the meantime. CGG is a global, French-based group operating in the geoscience industry with subsidiaries in various countries, including in the US. The group provides geological, geophysical and reservoir capabilities to its customers, primarily in the global oil and gas industry. The group’s financial distress is because of the decline in oil prices, which had a dramatic impact on its main clients’ financial resources and, therefore, the demand for the services provided by CGG. Negotiations with its creditors and shareholders took place in mandat ad hoc proceedings and led to an agreement in principle with key financial creditors on 2 June 2017, providing for the conversion of non-secured debt (US$1.95 billion) into equity, an extension of the maturity of secured debt (US$ 800 million), a US$125 million rights issuance with warrants, open to existing shareholders, and a US$375 million issuance of new second lien senior notes with penny warrants to be provided by eligible unsecured senior noteholders under the terms of a private placement agreement. CGG then entered into a lock-up agreement under which those key financial creditors committed to support all reasonable steps in order to ensure proper implementation of the restructuring plan, including a vote in favour of the plan within the framework of French safeguard proceedings and US Chapter 11 proceedings. On 14 June, the Commercial Court of Paris commenced safeguard proceedings with respect to CGG SA, the group holding company. The company then filed for Chapter 15 proceedings in the US, in order for the French insolvency proceedings to be acknowledged as foreign principal insolvency proceedings in the US. In addition, 14 subsidiaries of the group filed for Chapter 11 proceedings in the US. On 28 July 2017, CGG SA obtained the approval of the reorganisation plan in the French safeguard proceedings by the requested majority of the financial creditors’ committee and the bondholders. To date, the safeguard proceedings, as well as the US proceedings, are still ongoing. We are not aware of any significant secondary proceedings for foreign-registered companies commenced in France during the past 12 months. Insolvency activity should continue to decrease during the coming year, as economic growth is expected to continue to strengthen to about 1.5 per cent in 2018, boosted by investment and consumption. In addition, domestic demand should be supported by rising confidence, cuts in social contributions and business taxes planned by the new government and continued favourable financing conditions. Brexit may, however, contribute to an increase in insolvency activity in French courts regarding foreign EU companies. Indeed, a flourishing restructuring business has developed in the UK as English courts have approved schemes of arrangement affecting companies incorporated outside of England. 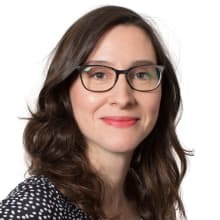 While the impact of Brexit on the availability of UK schemes of arrangement as a restructuring tool for foreign companies remains unclear, EU companies may be more reluctant to petition UK courts, owing to uncertainties regarding the recognition of their judgments within the EU. As the French restructuring regime is among the most effective in the EU, it could become an appealing alternative for foreign companies seeking a forum that offers flexible tools for distressed debtors. 1 Fabrice Baumgartner is a partner, and Aude Dupuis a senior attorney, at Cleary Gottlieb in Paris. 2 Transfers of assets without consideration, contracts that are significantly unbalanced, payments of debts that are not due, etc.